Miloš from the "Analytical laboratory at the Department of Medical Biochemistry" (Charles University, Faculty of Medicine in Hradec Kralove) visited our lab end of 2018. Exchange was supported by "Inovation of doctoral programs at Charles University, Faculty of Medicine in Hradec Kralove“, reg. nr. CZ.02.2.69/0.0/0.0/16_018/0002520. 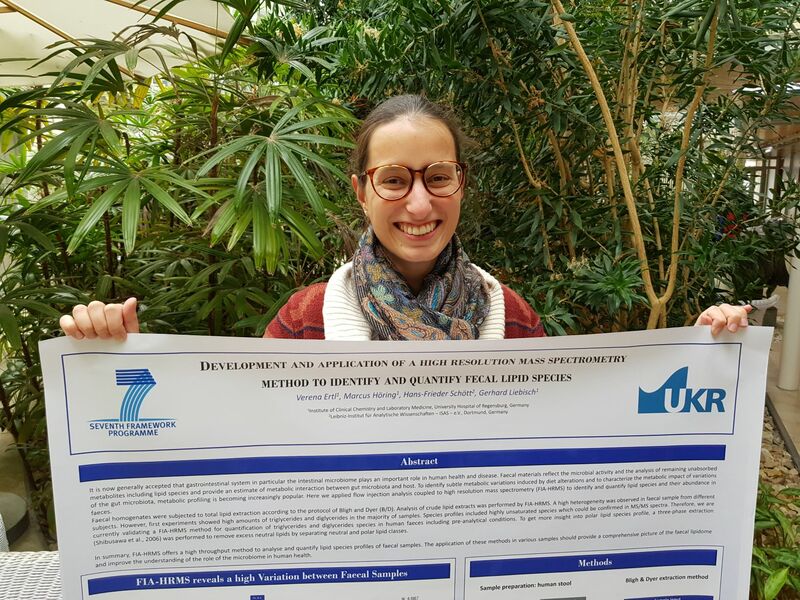 Verena won one of the poster awards at the 7th European Lipidomics Meeting in Leipzig for her poster on "Development and application of a high resolution mass spectrometry method to identify and quantify faecal lipid species". 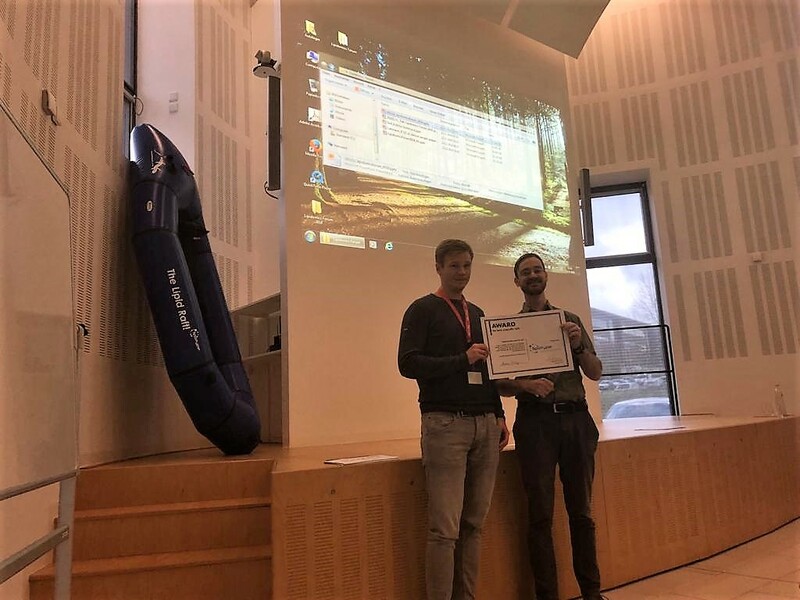 Marcus won the best talk award at the Lipidomics Forum 2018 in Dortmund for his talk "Application of stable isotope labeling high resolution mass spectrometry to study the intestinal lipid metabolism". 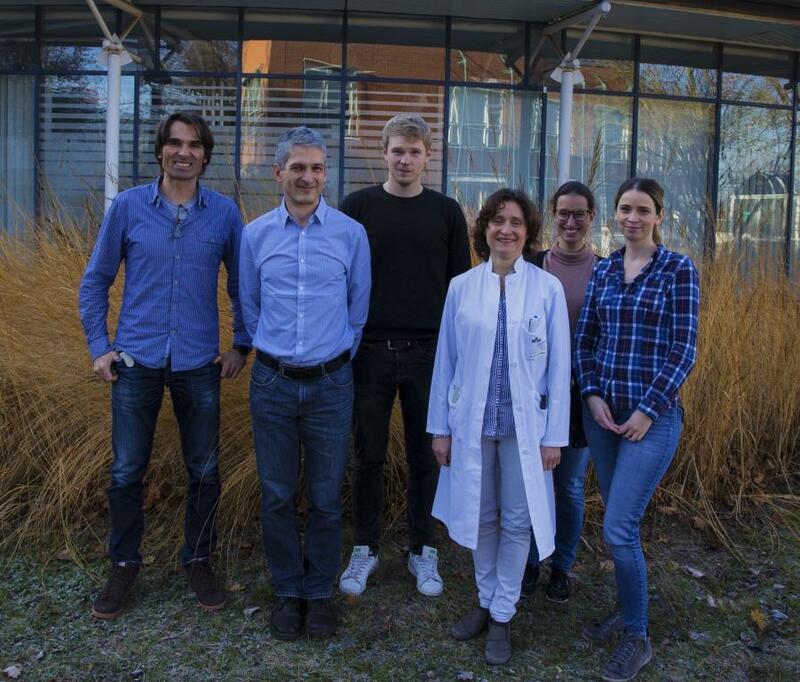 Collaboration with Josef Ecker (TUM) demonstrated that “The gut microbiota promotes hepatic fatty acid desaturation and elongation in mice”. Short chain fatty acids like acetate derived from dietary fibers were reported to incorporate into hepatic fatty acid synthesis.